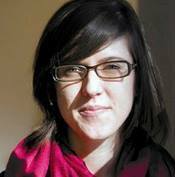 Sarah McCann is a Baltimore based community artist and curator. McCann’s text-based mosaics, prints and multimedia artwork has been exhibited nationally and she had her first solo exhibition in 2018 at Jubilee Arts in Baltimore. Since 2010 McCann has organized, curated and installed exhibitions and related programming from conception to completion. Her curatorial practice’s methodology poses questions to artists as themes for the exhibitions and often includes youth artists and/or a community component. Her next curatorial endeavor titled, “Our Words Will Still Be Heard” produced in partnership with the Modell Performing Arts Center will open at Jubilee Arts Gallery and MICA Place in April 2019. Sarah has facilitated public and collaborative projects and looks forward to continuing her work in Baltimore and beyond. McCann also works as a fundraiser. Her objective in this work is to improve visibility, financial security, equity and meaningful project outcomes for artists, organizations and communities. Partner organizations for community arts, exhibitions and fund development work have included Baltimore City Community College, Baltimore Clayworks, Creative Alliance, D Center, Enoch Pratt Free Library, Load of Fun Gallery, Towson Arts Collective, Wide Angle Youth Media and the Youth Dreamers. Sarah has a B.S. in studio arts from New York University and an M.A. in Community Arts from Maryland Institute College of Art (MICA). She will receive her MFA from MICA in 2019. In addition, Sarah is a recipient of a 2018 Creative Baltimore Fund Mayor's Individual Artist Award presented by Baltimore Office of Promotion and the Arts and Mayor Pugh's Office. She is currently Co-Dean of the Awesome Foundation's Baltimore Chapter and is a board member and Treasurer of Intersection of Change.